During the first months of your baby’s life, you can guarantee there’ll be a lot to learn. Everything you thought you knew about parenting will go out of the window. Don’t panic; it happens to the best of us. You can read all the books you want, but nothing can prepare you for the real deal. In an ideal world, we all want to be 100% ready by the time baby arrives. Hence, you’ve likely already set up your nursery and incorporated a temporary cot in your bedroom. With parenthood being so different from what many us expect, you shouldn’t be afraid to change the plan. Sure, you have enough on your plate right now. But, by reconsidering your setup, you stand to make your life much easier. And, one area which often needs more attention is the sleeping arrangements. There’s no getting around the fact that new parents are going to get less sleep. Feeding schedules and a crying baby make sure of that. But, you may find that even the time you do get your head down isn’t put to best use right now. If that’s the case, it’s important to reconsider your bedroom setup. It’s the only way to ensure you get the rest you need when you have time for it. Here are a few suggestions which may make your life a little easier. There’s a distinct chance that everything you’re doing right now is with baby’s comfort in mind. That’s entirely natural. But, at this stage, you should also focus on your comfort. After all, your baby relies on you right now, and if you’re not good, your bundle of joy won’t be either. So, by caring for yourself, you’re making sure of the best for baby. Take this excuse to treat yourself. Head to a mattress outlet and stock up on a new mattress for yourself. Get new pillows, and a new duvet if you need one. Do the things you haven’t gotten around to yet. That way, you can ensure you fall asleep the moment your head hits the pillow. In case you hadn’t realized by now, getting to sleep fast is all part and parcel of parenthood. 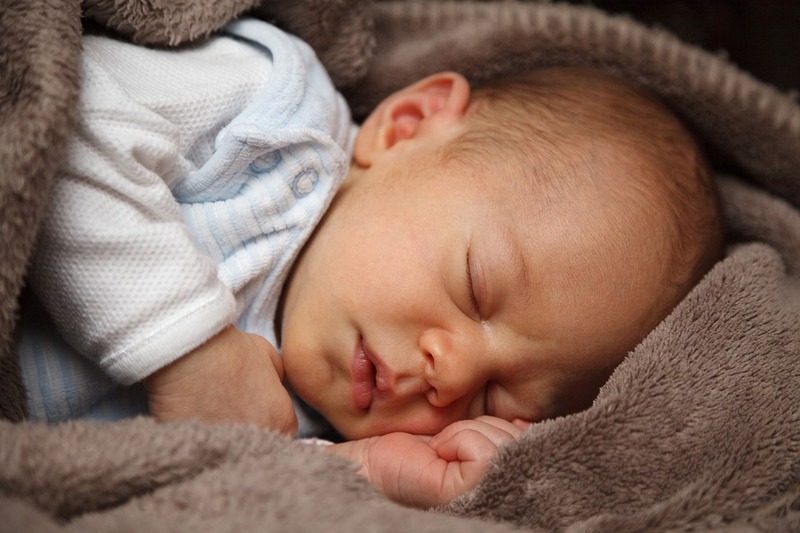 You may have dreamt of baby’s crib being right by your bed, but this can be bad for business. Not only will baby suffer from not having their own space, but you’ll go a little crazy, too. Everyone needs a break now and again, after all. If the crib is right by your bed, you may get into the habit of watching your beautiful bundle instead of sleeping. As such, it’s worth dividing a nursery space in your bedroom. How you do this is up to you. Dividers can work well, or you could create a physical divide using shelving units. Your baby will be close enough that you can reach them in a few strides, but not so close that they impact your sleep when they shouldn’t.